From the book Philadelphia / Text by Bill Harris; designed & produced by Ted Smart & David Gibbon; Mayflower Books, Inc., 1980, p. 26. The library classification is non-fiction, 917.4811 H24p. This aerial view shows the Benjamin Franklin Parkway, from 17th Street in the foreground, to the Art Museum of Philadelphia at the far end (and Fairmount Park beyond). 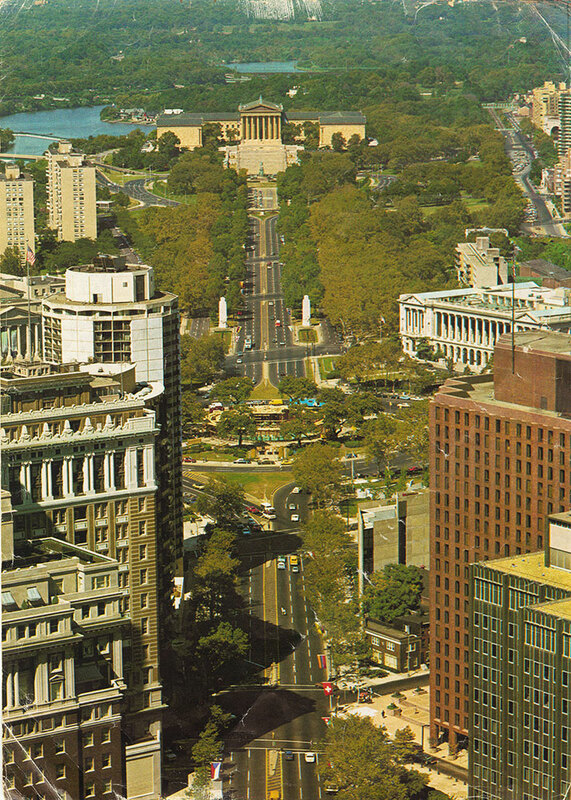 In the center is Logan Circle, with the Free Library’s Parkway Central branch just off (up and right) of the circle.